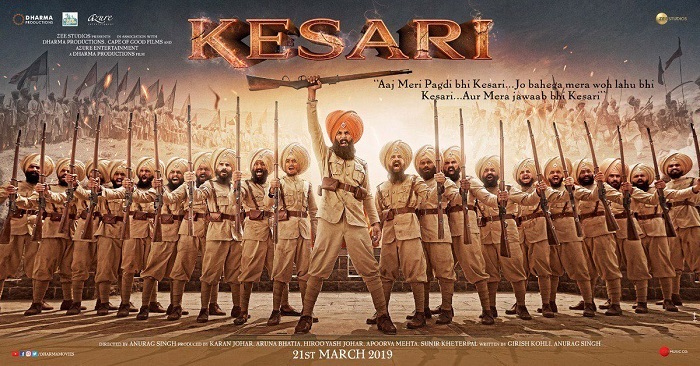 Kesari is easily one of the best trending movies starring Akshay Kumar in lead role in recent times. Film received both positive reviews from critics and audiences and that is helping the box office cause. Film has hold pretty well on 3rd Monday. Drop from 3rd Friday is around 35-40% which is acceptable. Film has added an approx 1.05 crore nett on day 19. Film total collection currently stands at approx 144.05 crore nett. Kesari 3rd week total is heading towards 10.75-11 crore nett mark. Film should cross 146 crore nett by the end of week three. It will need just 3-4 crores from 4th week onward to touch 150 crore mark in India. That should be easily achieved and film may add few crore more after reaching that landmark. Overall film is a HIT at box office. Very good news, it will easily cross 150+cr inside the 4th week, in worst case scenario 5th weekend. 1.5-2 cr in the remaining 3 days which will take the total to 146cr approx and the remaining 4cr will easily be crossed in 4th week or 5th weekend.